Welcome to our frequently asked questions page. 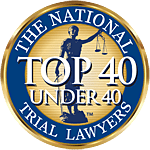 At Associates and Bruce L. Scheiner, Attorneys for the Injured, we have been representing people dealing with traumatic injury for more than four decades. Our Southwest Florida personal injury attorneys are dedicated to fighting for the rights of accident victims right here in Southwest Florida, including Lee County, Collier County, Charlotte County, Hendry County, Glades County, Sarasota County, DeSoto County and Highlands County. What Do I Do After a Serious Injury? So many times, victims and families are genuinely overwhelmed in the aftermath of a serious traffic collision or other injury incident. In many cases, they postpone taking action or seeking experienced legal advice. The first priority is the health and welfare of the injured, or the financial and emotional well-being of those left behind. While at-fault motorists and insurance companies have the luxury of time, that's often not the case for victims. Evidence often deteriorates with each passing day. Attorneys are already quietly working on behalf of insurance companies to limit any potential claim. Often "Delay and Deny" tactics will be deployed to frustrate claimants into giving up or accepting low ball offers. Ultimately, personal injury and wrongful death lawsuits are governed by statutes of limitation in Florida, which is generally two years for wrongful death and medical malpractice lawsuits and four years for personal injury lawsuits. Exceptions apply so you should always consult with an experienced law firm, but failure to pursue claims in a timely fashion my bar claimants from every making a recovery. When financial pressures mount, families may borrow against retirement accounts or use high-interest credit cards for care. Or they may accept a paltry settlement offer from an insurer, thereby signing away their rights to seek future compensation for medical expenses or other complications. About 1 in 4 drivers are on the road without insurance in Florida, according to the Insurance Research Council. In fact, Florida ranks among the worst three states in the nation when it comes to uninsured motorists. Many others carry just the $10,000 minimums required by law, which are completely inadequate in the event of a collision. In many cases, motorists are left to make a claim through their own underinsured/uninsured motorist coverage. Such claims put you in an adversarial relationship with your insurance company and are often best done with the help of an experienced attorney. At Associates and Bruce L. Scheiner, Attorneys for the Injured, we believe those who have been injured deserve immediate access to experienced legal representation. That's why we offer a free consultation and stand by our promise: "You Pay Us Nothing Unless We Win!" On these pages you will find a number of injury topics of interest, including: What to do after an accident; Fibromyalgia and traumatic injury; Understanding neck and back injuries; Chronic Regional Pain Syndrome (CRPS)/Reflex Sympathetic Dystrophy (RSD); and Myofascial Pain Syndrome. We hope you find this information useful. But if you have questions in the wake of a serious or fatal accident, we hope you pick up the phone and call us for experienced legal advice specific to your case.